from our Farm to your Homes. 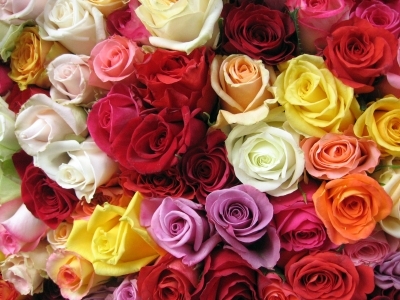 Founded in 2003, Flower Depot Inc. was one of few flower growers to offer flower delivery online. The flower farm was started in 1996 and has since transitioned to planting, growing and harvesting flowers using sustainable agricultural practices. Flower Depot's philosophy is to plant, grow, harvest and provide vibrant, living, and beautiful flowers with integrity. We recognize the beauty and healing qualities of flowers and endeavor to consciously grow, till and harvest our flowers mindful of the living forces of nature. Our flowers are grown in rich, living soil, and using only sustainable, organic and biodynamic practices. Our flowers are grown in the foothills of Mt. Kitanglad, where we aim to have a flower farm that upholds the sources of life, is sustainable, and wastes nothing. We recognize ecological balance and do not feel the need to rely on chemicals, synthetics or pesticides, relying instead on nature itself to do the healing work for us. (See: What is Sustainable.) Our farm has a marketing office at the Makati Curb Holdings, Yakal St., San Antonio Village, Makati City. Today, our flower farm is a happy home to roses, hydrangeas, gerberas, limoniums, calla lilies, fillers and foliage. It has over three hectares of bamboo greenhouses. 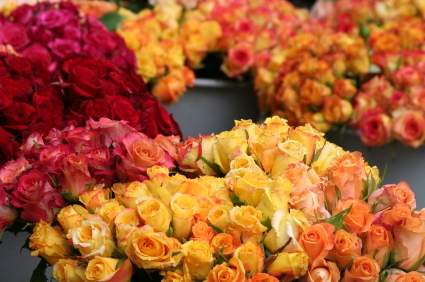 At present, it has 16 varieties of roses, with 14 colors ranging from the deepest burgundy red, hues of pink, white and bright oranges, even two tones and green! In addition to roses, the flower farm has a merry mix of about 15 varieties of gerberra daisies; blue, fuschia or pink hydrangeas; and a few varieties of calla lilies and solidago. We also grow fillers and cut foliage mainly polypodium, dracaena sanderiana, chlorophyton, rhapis excelsa, podocarpus costalis, cinamomo and leather leaf fern. We have been blessed with a good climate and temperature, our flowers and foliage thrive at the foothills of Mt. Kitanglad, almost 4,000 feet above sea level. Our farm-workers harvest an average of 500-1000 dozens of flowers and foliage everyday and the numbers continually increase. These flowers are harvested with care and then packed and pre-cooled in our exquisite boxes for flower delivery everyday, nationwide, whether by air, land and sea. We, at Flower Depot believe the functional should also be beautiful, and more than these, healing and living. Our work does not end at growing and harvesting. Our work truly bears fruit when the flowers we send to our customers, are vibrant, living, and beautiful, and our customers benefit from the full bounty of nature.